The PPPCanvas is a tool that can be used to analyze the business model of the PPP, including what value is being delivered, how partners aim to deliver this value and to whom exactly. Like the Business Model Canvas, it helps to visualize, design and pivot a business model. To increase the understanding of how PPPs can deliver added value to achieving their goals, by creating business opportunities and a more business wise approach, PPPLab developed the PPPCanvas , based on the work of Alexander Osterwalder. 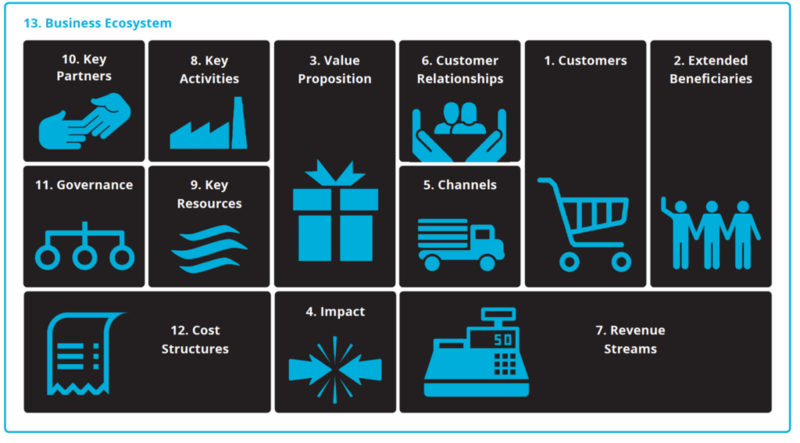 However, the PPPCanvas adds 4 extra fields of interest to the original business model canvas. Compared to companies, PPPs with a development focus need to consider a few additional important elements in their business model. Next to economic objectives, they also serve certain development goals and often operate in difficult environments. That is exactly why PPPLab decided to extend the original Canvas. For more information on why and how to use the PPPCanvas please have a look at the PPPCanvas User Guide. We are happy to support you in applying the PPPCanvas to your PPP. Please contact us at info@ppplab.org.